Sparkling with gems and silver glitter, these cards will impress any loved one lucky enough to receive one! 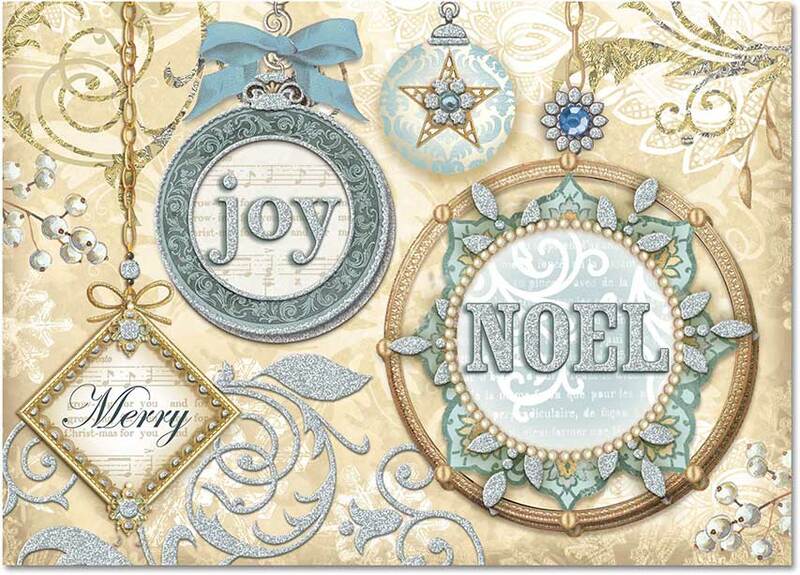 The cards feature ornaments with the words "Merry", "joy" and "NOEL" upon them. 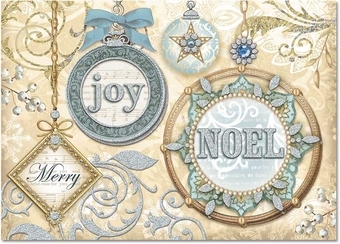 Done in shades of gold and silver with pale blue-green accents, they are sure to bring a smile!